I love Halloween, and I love trick-or-treating. In fact, I love it so much I went trick or treating until college, always made my own costumes, and continue to love dressing up for Halloween. Imagine my joy when I had kids with whom I could share this love of Halloween. This is their second Halloween, and the first year we have considered taking them trick-or-treating. But, I find myself hesitant. I’m not concerned that trick or treating is dangerous (it’s not). Nor am I concerned that the candy will somehow cause them to become obese (a few extra pounds wouldn’t hurt either of them). It’s not the whole religious thing (obviously), or worries about logistics. I’m hesitant to take my almost two-year-olds trick or treating for the very rational reason that they may not be developmentally ready to handle the scary elements they are likely to encounter on this night of make believe. At nearly two, they are still newcomers to the realm of abstract thinking, and draw firmly held conclusions from what they see around them that can be illogical to adults. From 16 to 24 months, kids move from the idea that what they see is always true even when extended to it’s least logical conclusion (a snowman melts in the rain, the toddler may worry that he or she will melt), to experimenting to determine actual cause and effect (Scholastic.com). Something that is clearly make-believe fun to us can be terrifying for kids in this stage, and make believe geared toward children but not developmentally appropriate can cause lingering fear. Parenting Magazine provides a great example in which an adult tried to surprise children with a giraffe piñata by making it “walk” it by the window of the room they were in. The kids freaked. What seems blatantly unreal to us — a four-foot-high giraffe piñata — is often startling, confusing, and frightening to young children. Even if they don’t think the giraffe is real, that fact offers no consolation. Knowledge is swamped by a flood of emotion and becomes irrelevant. After all, we’ve asked them to believe in Santa Claus (and they do, bless their little hearts), so how surprising is it that they could believe in ferocious herbivores? The fact is that “almost two” is nowhere near age seven, which is when children stop being scared by scary fantasy (like the shark scene in Finding Nemo, or countless kids’ television ghost stories) according to Psychology Today. Added together, this makes me a leery about taking the toddlers out for halloween. First, there is the issue of costumes on others. Seeing a favorite story book or TV character in real life can be frightening to toddlers: “A child may love Barney on TV, but the big beast that shows up at a birthday party can be confusing and overwhelming because he’s so much larger than the one on TV” (CNN). This is compounded by the fact that we as adults tend to do a lousy job of identifying what is going to frighten young children. 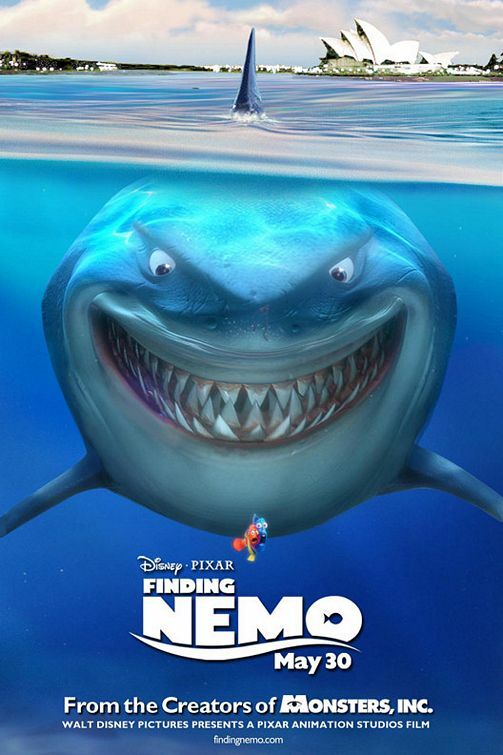 That scary shark scene in Finding Nemo, for example, developmentally should be a negative experience for children through age seven, but most sites rate it for children much younger: it has a G rating, Common Sense Media says age 5, Is This Suitable says children ages 3-5 can watch with adult supervision, and the religious folks over reviewer at the spiritual site Belief Net rates it at kindergarten and up. The Australian Council on Kids and Media is almost the only large organization that gets the developmentally appropriate age for those scary scenes right at 8-13. While the movie surrounding them may be ok for young children, those scenes are perfect examples of the scary fantasy that young children may think is real. If this many mainstream groups can guess wrong about the depth of fear young children might have from a few scenes in an otherwise fun movie, it is no wonder that it is unlikely that we will be able to guess correctly what will and won’t frighten toddlers on Halloween. One example is spooky lawn displays (compounded by that one random house where someone leaps out and says “boo!”), which can be fun, but not for toddlers. Displays that we as adults know are not real (but young children believe in wholeheartedly) can be really scary, and one of the hallmarks of this age is the inability to be fully reassured by adult logic. I’m not trying to shield my children from all things scary, just ensure that situations are developmentally appropriate. That same article in Psychology Today explains that children should experience frightening things, “but they should be within their control,” as when listening to a scary story or having a book with scary scenes read to them. The child can imagine the frightening thing and the book is easily closed when it gets to be too much. For me, the issue is of controlling their Halloween as much as possible to avoid accidental exposure to something that could frighten them. Since I’m not completely sure what may be upsetting, keeping it short and fun is key. As a result, the trick or treating has sort of taken a back seat this year. Their costumes have been in the dress up box all week, and they randomly run around the house dressed in red fur or with their Elmo hats on. After the holiday, the pieces will continue to live in the dress up box. Today we’re going to story hour at the library to listen to a Halloween story, and tomorrow around four they’ll trick or treat at a local store that does this annually for the youngest children in our community because of the cold and rain. My logic is that they have visited the store several times, and the store is not decorated for halloween so it looks much like it has every other time they have been there. If things go unusually well, then maybe we’ll trick or treat at a few houses in a lightly decorated neighborhood nearby where the toddlers have been a zillion times on walks. If not, it’s back to home for time with grandma while dad and I go out for a beer and some celebrating because it is Halloween after all. EDIT: description of Belief Net corrected to accurately reflect the nature of the site as “spiritual information presented without a defined editorial point-of-view” per their about us page. Another thing which is often inaccurately coded for age appropriateness is violence. Studies show kids can’t understand fake or stylized violence, so the violence of something like Robocop would be responded to more appropriately by young kids than the violence of The Lion King. I am not advocating showing your young child RoboCop, but being aware that kids don’t understand consequences of violence means being very careful with unrealistic depictions of same. That’s really interesting, can you explain more what you mean by stylized violence? I think I used the wrong word, since I basically mean sanitized or glamorous. I’m heading to bed, but here’s a couple quick links I found on the subject. I hadn’t thought about how scary costumes and such might be to my daughter! We are going out to the “little kid trick or treating” event in downtown, so there will be a lot of youngsters and it’s during the day. I’ll make sure to take her security bunny! Funnily enough, we have a Roomba, and she is scared to death of it. If it’s in the living room (not even turned on), she will not walk ariund without holding my hand. It’s hard to tell what will frighten them, especially at that age. Some stuff is obvious: our son doesn’t like loud noises, so a cry-fest when a pan accidentally falls on the floor is predictable enough. Then there’s stuff like this: my (1,5 year old) niece pooped in her bathtub this week. She is now utterly freaked out by pooping. She cries even when she just farts. Even though she knew it was just poop (she was crying (“aaaah! poopie, poopie!”)) and even though she knows poop is supposed to come out there, seeing the thing floating in the tub instead of squished in a diaper was apparently terrifying. My mother was very surprised (and secretly laughing). After raising 3 of her own and taking care of various nieces and nephews at times, a child being afraid of poop in the tub was still not something she had ever expected to happen.